Hi there crafty friends, today I am joining in on the Spring Coffee Lovers Blog Hop. Joy Clair is proud to be a Super Sponsor again this hop. I decided to take a different approach to my project today by using the Coffee Set as a Bible Journaling set. The verse I highlighted is Colossians 2:16 "Therefore let no one pass judgment on you in questions of food and drink, or with regard to a festival or a new moon or a Sabbath." Drink your coffee, tea, cocoa ladies and gentleman, I will not judge you. 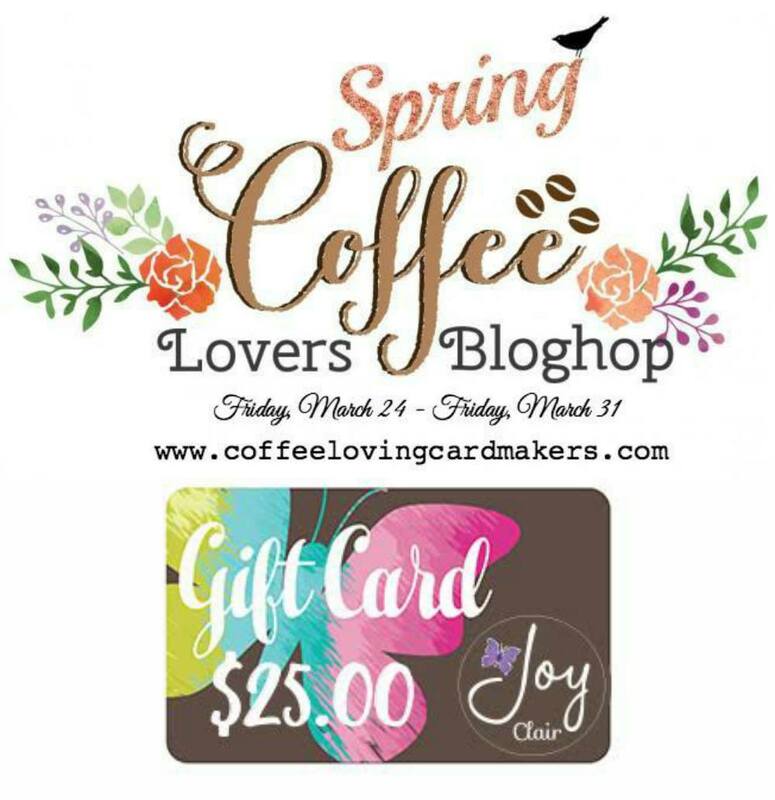 Love your Bible Journaling page! Great idea! This is FABULOUS!! I'm a coffee lover, too. Thanks for sharing your talents. Drink your coffee, tea, cocoa ladies and gentleman, I will not judge you. I've never heard that verse before. I think God has a sense of humour! Love it!! Fun way to decorate your Bible page. Fun how you added the beans to your journaling. Beautiful journal page. A very clever way of using those images. Love how you've used these stamps! So pretty! This is really cute! I love the little notebook edges on the images! 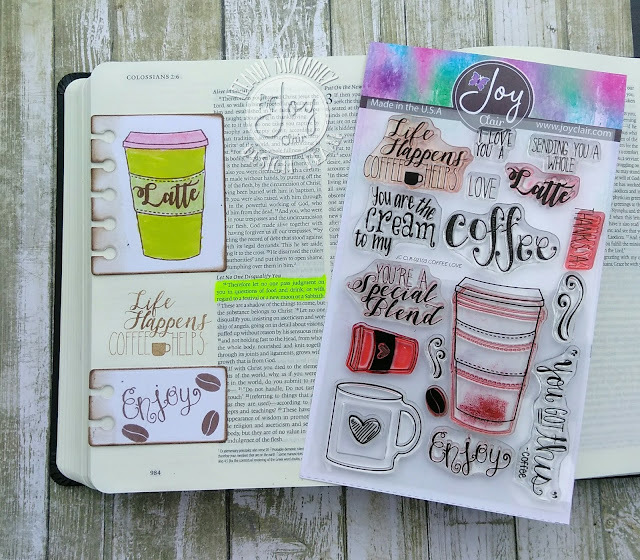 Creative way of journaling with the coffee stamp!